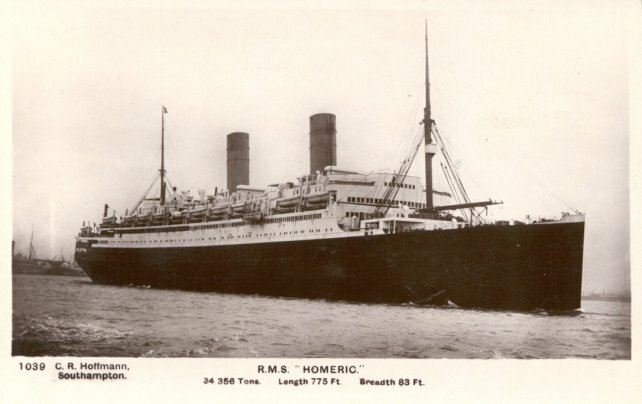 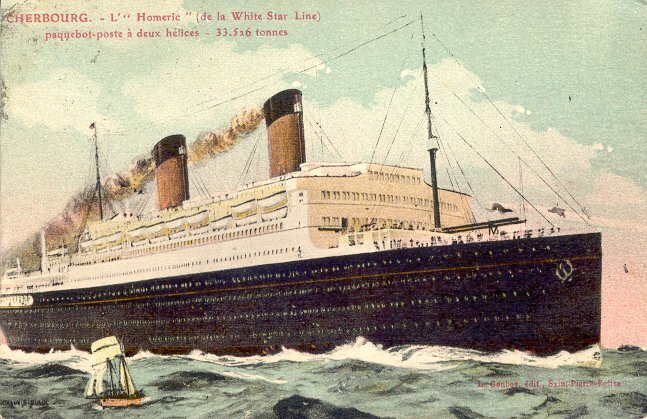 Homeric was one of the three German war reparations ships which White Star acquired in the early 1920's. 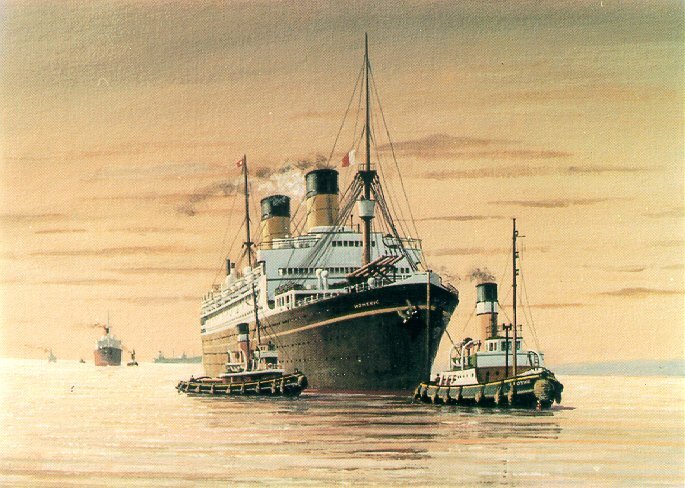 Launched at the F. Schihau yard in Danzig in 1913 as Norddeutscher Lloyd's Columbus, the ship was laid up, unfinished, for the duration of World War I. 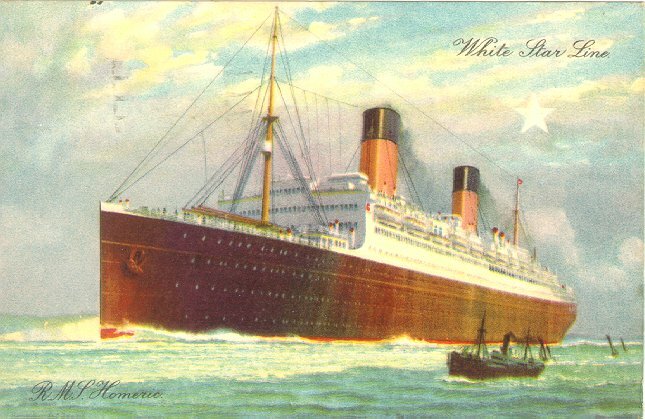 Her maiden voyage from Southampton to New York commenced on 15 February 1922. 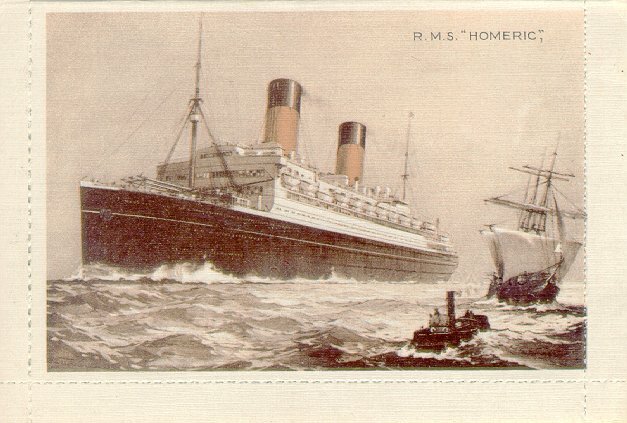 Because of her slow speed (18 knots), Homeric was far from an ideal partner for Olympic (21 knots) and Majestic (23 knots) on that service, but Homeric soon developed a reputation of being extremely stable in rough seas. 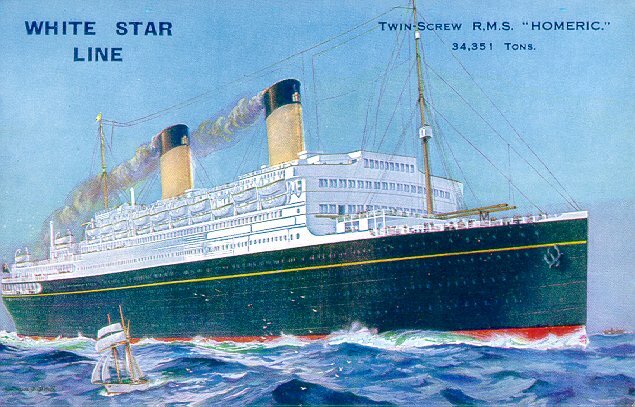 A 1924 refitting (which included conversion to oil fuel) increased her service speed to 19.5 knots, which was still below par. 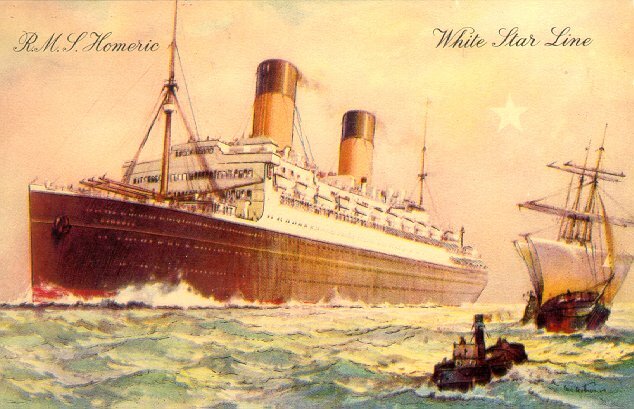 Homeric made her final Atlantic crossing in June 1932 and was used exclusively for cruising from then on. 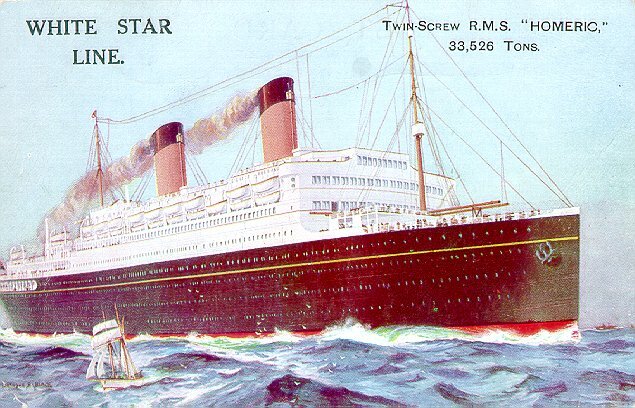 She became part of Cunard White Star in 1934, but was laid up in September 1935 and scrapped early the next year.